Tim Minchin · Australian comedy series ‘No Activity’ is being shown on BBC Two and BBC iPlayer! Australian comedy series ‘No Activity’ is being shown on BBC Two and BBC iPlayer! No Activity is currently airing on BBC TWO. Click here for the schedule. Two episodes are already available on BBC iPlayer, along with a host of clips. 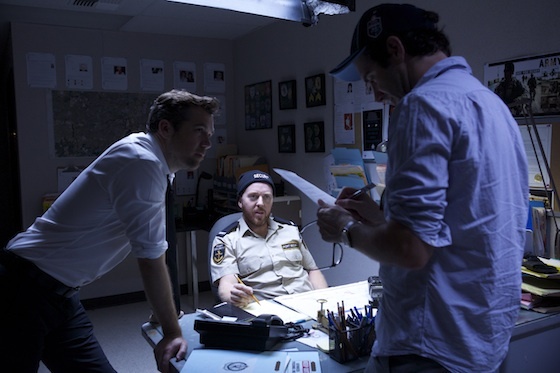 The six part Australian comedy series, stars Patrick Brammall and Darren Gilshenan. It follows two police detectives, Hendy and Stokes, killing time on a stakeout, waiting for something to happen. It doesn’t. Genevieve Morris and Harriet Dyer are unlikely dispatch officers, Carol and April, while Dan Wylie, David Field and Sam Simmons make up the disorganised crime element. 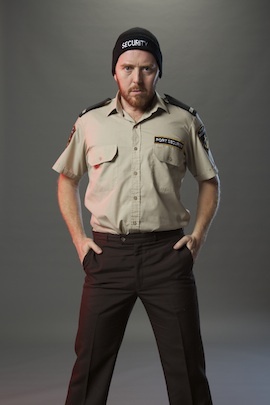 Tim plays Jacob, a security guard working at the docks, tasked with looking out for anything unusual, so he can tip off the cops. No Activity first aired in Australia on Stan in October 2015.